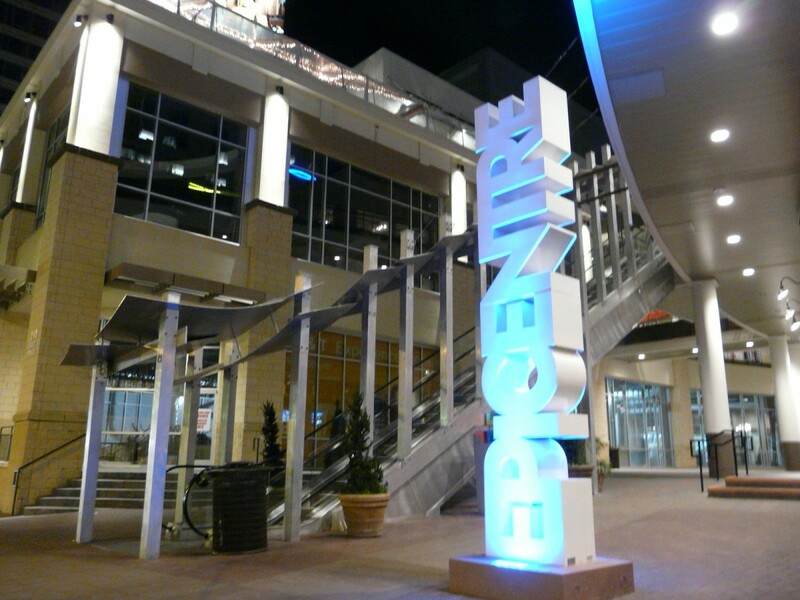 The EpiCentre is located in the heart of uptown Charlotte’s banking district, near the Charlotte Bobcats Arena. Its public areas and amenities have definitely raised the bar for all developments in the region. The project consists of a 265,000 square foot entertainment complex on a three-acre site that was once home to the former Charlotte Convention Center. EpiCentre includes a movie theater, an upscale bowling alley, restaurants, bars, nightclubs, an assortment of shops, and four levels of below grade parking. A 17-floor tower with luxury residential units sits atop four floors (60,000 square feet) of retail and office space. Stewart’s design work included site demolition, utility relocations, and the design of a dewatering system, as well as associated site, and grading / storm drainage. The firm was also responsible for urban design and a detailed streetscape plan. Due to high-level security, coordination of the various utilities was complex and challenging.